Reaction Manager is an interesting tool that simplifies certain complex process of animating in 3ds max. In this tutorial lets get the basic idea of what Reaction Manager is. This is what we are going to do. 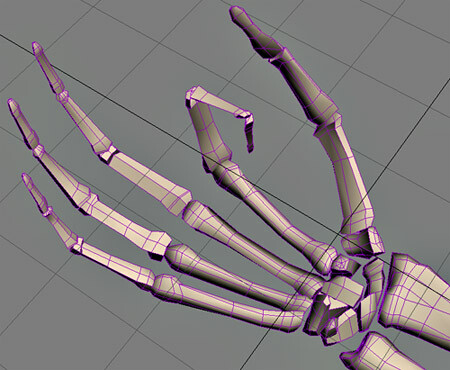 We will animate a few set of bones to simulate the fingers in our hand. This tutorial will give you the basic idea of how Reaction Manager works. 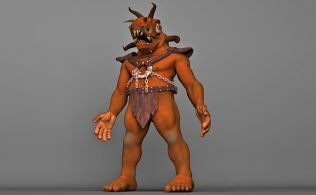 It may also help you in rigging and animation of 3d characters. Before we go into the tutorial, download the provided max file from where you can start: arm.max. 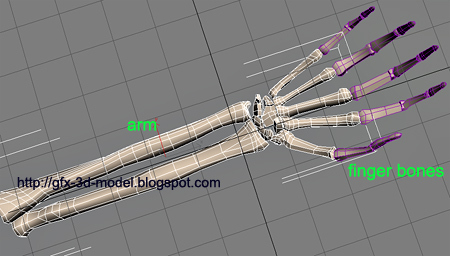 This file contains 3d model of skeletal structure of human arm. 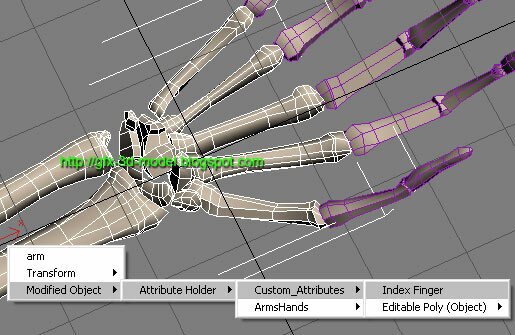 3d model of human arm with all the bones separated and pivot points set and linked to each other. Reaction Manager works on the concept of Master and Slave. 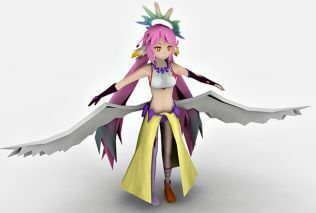 Master can be any object or helper in 3ds max that controls the Slave. 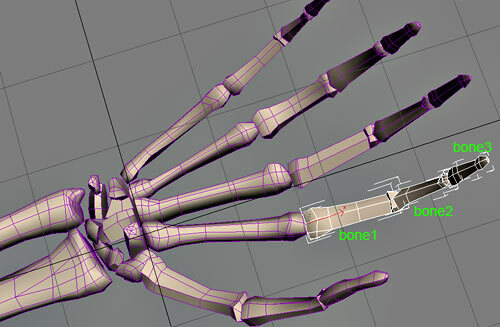 In our setup we have an object called "arm" that will act as a master that controls the bones of fingers. 1. 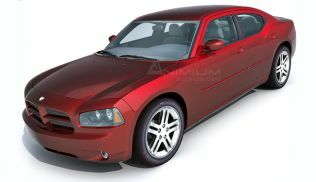 Open the 3ds max file arm.max (Compatible with 3ds max 8 and above). 2. 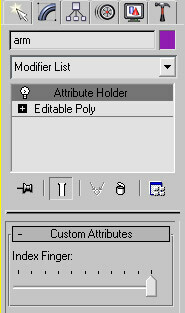 Select the arm object and add an Attribute Holder modifier from the Modifier panel. 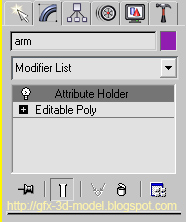 arm object with Attribute Holder modifier. 3. 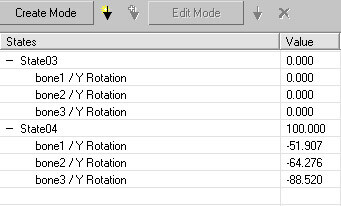 With the arm object still selected, select Animation -> Parameter Editor from the menu. 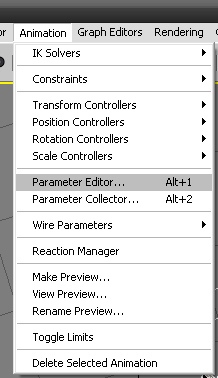 This will open the Parameter Editor Dialog. Now we have set up the Master that will control the finger bones. This slider Index Finger that we just added will be our master. If we slide all the way to the end the bones of index finger must close and when we slide it to its default position the bones of index finger must open. 5. Now Open Reaction Manager from the menu, Animation -> Reaction Manager. This will open Reaction Manager Dialog. Reaction Manager Dialog has the following buttons on the top . Add Master, Add Slave and Add Selected to add Master and slave objects to Reaction Manager. 6. 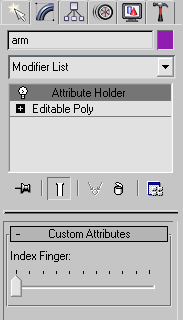 Now click Add Master Button in Reaction Manager and click on the arm object in viewport, a menu will appear from which you select the following in sequence. This step will add the Index Finger slider that we applied on the arm object as Master in Reaction manager. Now we must add slaves. We are going to add the three objects(bone1, bone2, bone3) that make up the index finger. 7. 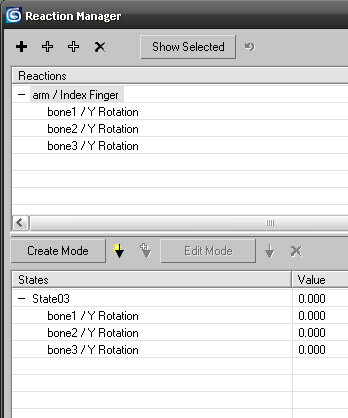 Select the three objects (bone1, bone2, bone3) and click on Add selected in Reaction manager, a menu will appear again from which you select the following in sequence. We are going to rotate the bones on Y axis, so we selected it on Y rotation. You can select whatever parameter you want according to your need. 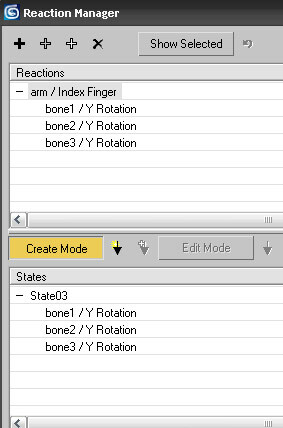 Now we have added Master(Index Finger- Slider) and Slaves(bone1, bone2, and bone3) to Reaction Manager. Now the slider is used to animate the bones which we are going to do in the coming steps. 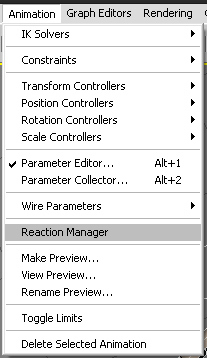 Before that have look at the Reaction Manager panel (refer image below). Reaction Manager panel with Master and Slaves as well as the current state of the objects. Any animation using Reaction Manager involves different state of objects, for example in our case opening and closing of fingers. So as soon as you added the slaves, Reaction Manager creates a default state which is open state in our animation. Now we are going to create closing of index finger by creating another state, and the closing of finger will be controlled by slider(Index Finger). 8. Now click on Create Mode button in Reaction Manager. 10. Now rotate the the three objects (bone1, bone2, bone3) on Y axis as shown in the image. Rotate each bone aroud 60 degrees on Y axis. Note: the Create Mode Button should be switched on through the 9th and 10th steps. Now we have dragged the slider to the end and rotated the bones, this is 2nd state of the object and slider. 11. Now click on Create State button(downward arrow) next to Create Mode button. 12. Now exit the Create Mode by clicking on the Create Mode button once again. Now you can notice two states of the Slave objects we added. two states of bones we added. Now drag the slider and watch the finger animate accordingly. This same process can be used in animation of mechanical and robotic arms. good tuto thank you very much!